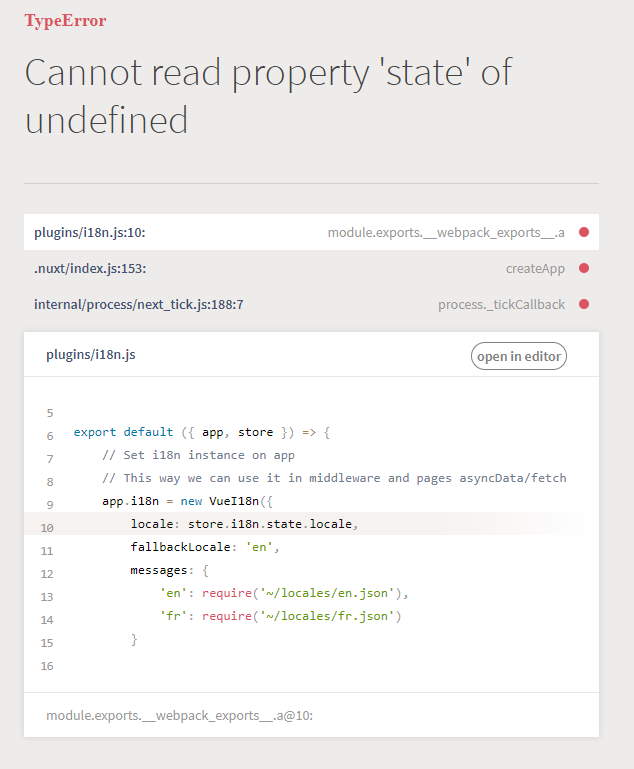 Example for modules does not work because it is missing with namespaced: true, for todos module. Without it methods become global and they are not accessible by their namespace. IE 'todos/toggle'. The line is in the docs now. I am trying to use namespaced store for I18n. And I get something similar. I modified official nuxt i18n sample as follows. In middleware/i18n.js, I changed store.state.locales to store.i18n.state.locales and store.commit('SET_LANG', locale) to store.commit('i18n/SET_LANG', locale). @manniL I'll double check docs for this.